The story is composed of three statements, one of Joel Hetman Jr., one of Caspar Grattan, and one of Julian Hetman through a medium. Joel Hetman explains that he was the son of Julia and Joel but that Joel was usually very possessive of his wife. While Joel Jr. was away at college, he received word that his mother had been murdered. When he comes home, his father explains that he had come home early from a business trip one night and found her murdered. He had witnessed someone leave the house but it was under the cover of darkness. Joel Jr. stays home to help his father who is entirely distraught with the events. One night, while walking home the two see the house and in what was Julia's room, there is a light and the silhouette of a woman. When Joel Jr. turns back to his father, he is nowhere to be found and he never sees him again. Caspar Grattan explains that he has lived his life as a recluse for many years now. He explains that years ago, as a jealous lover, he set up his wife to believe he would be going away for a few days. He only went into town and came back at night to capture her in the act. When he came home, he witnessed someone leaving the house and so ran up to his wife's room to confront her. She lie on the floor dead. He also remembers some time later walking toward the house wherein he witnessed his ghostly wife in the window and needing to run away to become Caspar. Julia explains she had an aching premonition but could do nothing with it the night of her death besides go to sleep. In the midst of darkness, she hears an intruder creeping about is and is fearful but the intruder retreats downstairs. She moves to the door to hear more when she hears the intruder running up the stairs and storming into the room and he abruptly kills her. Some time later, she also senses the presence of her husband and attempts to reach out to him at dusk but he runs away. The different viewpoints was an interesting approach. 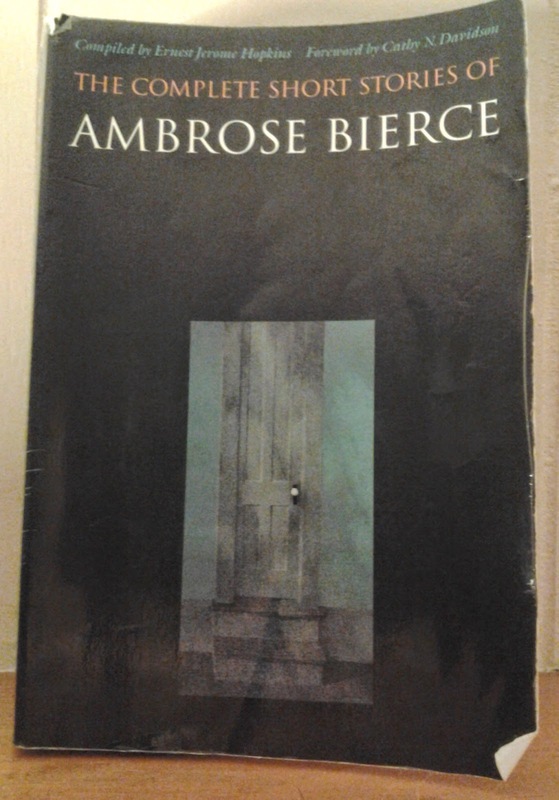 Though fairly common in the 1800s, Bierce executed this quite well with each person seeing something but somehow being affected deeply by it so that it profoundly effects them. That Joel Sr. goes insane and loses his identity (that is, his original self is killed) and that Julia never sees that her husband is the reason for death, while the son sees it but is left essentially parent-less marks a special kind of tragedy in that both innocents (mother and child) are marked for life (and after life) while the villain all but forgets it all and is saved to life as someone else.